"Mukhang kailangan kong bumalik d'yan. Dream granted eh!". Expressing his thoughts of revisiting Caysasay Shrine, Anton left this comment on the blog's Facebook post. He's one of those former office buddies whom I took a back-in-time stroll with along the streets of Taal Heritage Town. 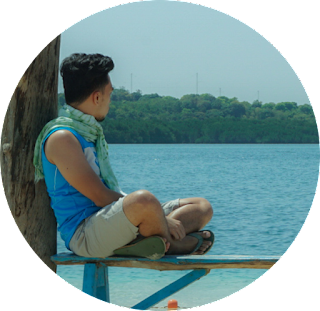 Sure, we had seen most of what Taal has to offer, but in weeks that passed, there had been a special personal reason why my buddy thought of going back. 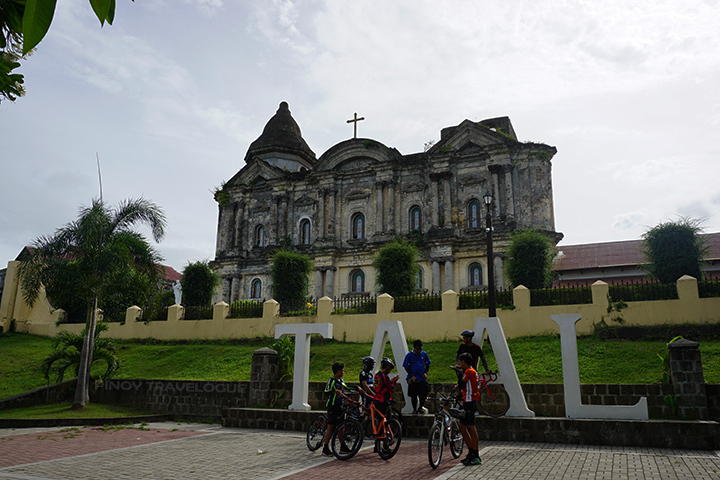 Taal is home to Asia's biggest Catholic church, the Basilica de San Martin de Tours or what most know as Taal Basilica. So huge, historical, and distinguished, the rustic edifice is probably the most popular landmark in town. But Taal is actually a cradle to two highly regarded house of Catholic worship. 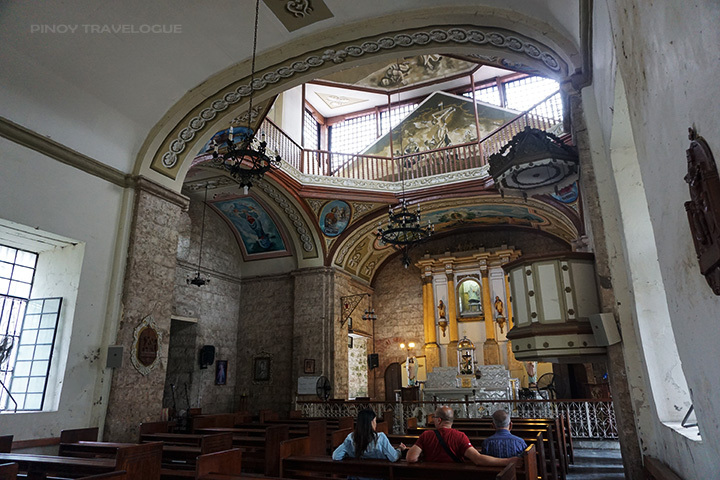 Caysasay Church — situated couple of meters away from the town's poblacion where Taal Basilica stands — enshrines a supposedly miraculous image, the Our Lady of Caysasay. 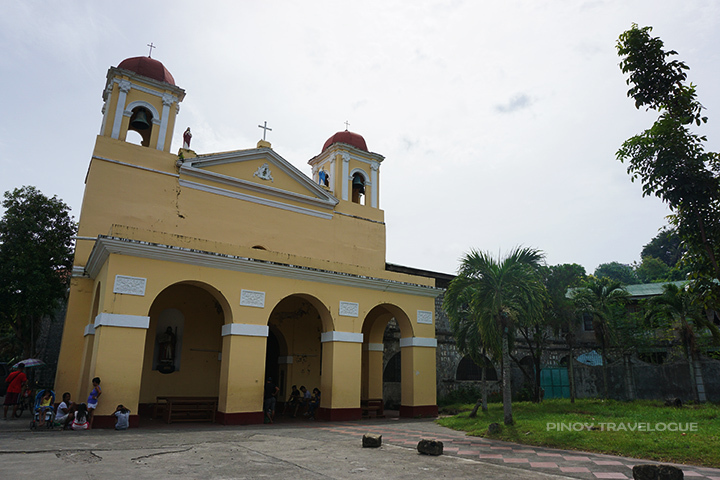 The far smaller yet equally old chapel stands at a more sleepy patch of Taal that pilgrims enliven during Holy Week and special occasions attributed to the patroness. Devotees flock the shrine for its status in the Catholic faith — the Vatican bestowed upon Caysasay Church the same spiritual privileges it has granted upon the ancient Basilica di Santa Maria Maggiore in Rome; an attribute considered noteworthy in the Catholic world as the latter belongs to the highest-ranking churches of Roman Catholicism, alongside the well-known St. Peter's Basilica. A polished façade is a mere cover up to the church's old age, but the somehow rickety interiors may tell a lot of what the 17th century structure has already gone through. 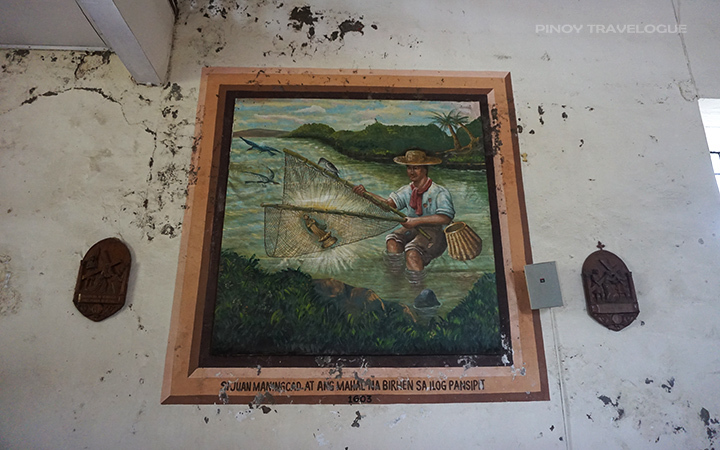 On its wall is a mural depicting how the venerated image came to town — a certain Juan Maningcad fishing out a lustrous statue on a river. Legend has it that in 1600s after it was found, the uncanny image had mysteriously disappeared from its urn and came back by itself multiple times until it did not come back at all. Then years later, two girls, while gathering firewood, saw the image's reflection at the waters of a spring near the very spot where Juan had fished it out. When the girls looked up, it was the long-lost image defying gravity, flanked with two candles, and guarded by several kasay-kasay (kingfisher bird). It was then the first church made of light materials was built in 1611, before the present church in 1639. 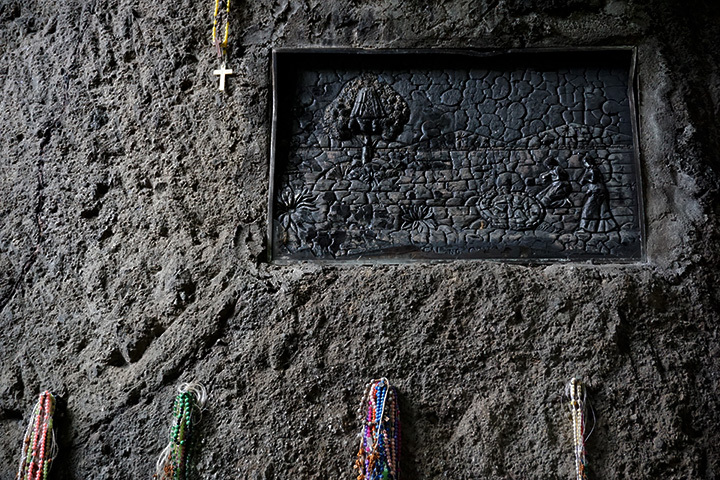 The eponymous barrio where the church stands derived its name from the endemic bird which the Spaniards back then pronounce as "kaysasay"; and the natural spring where the two wood gatherers saw the reflection is now known as Saint Lucia's Well, which locals deemed sacred up to this day. When I asked, "Saan 'yung sinasabi nilang Sta. Lucia ... ? ", a school-age girl selling candles at the church entrance eagerly ushered us to a mere jungle tucked nearby. 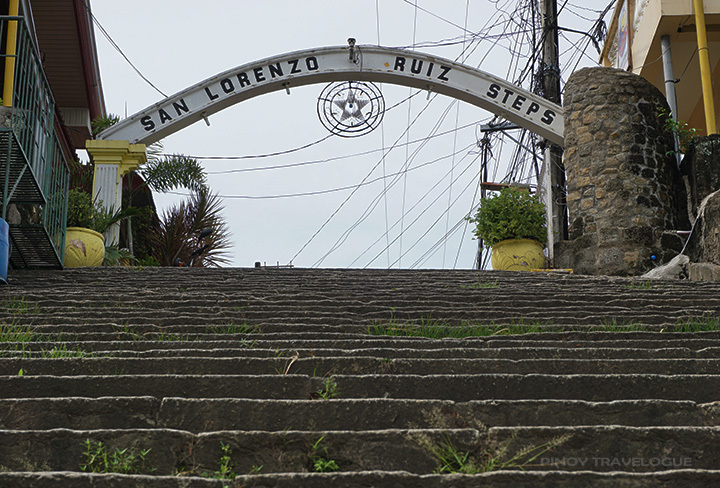 The path leading to the sacred spring is hidden behind a neighborhood that lines the notable San Lorenzo Ruiz Steps — a 125-step concrete staircase that, in essence, connects the shrine to the town center. From the church we ascended the stairs, then turned, after about 20 steps, to a narrow footpath sandwiched between concrete houses. Few walks and a sight of a much wider and imposing walkway ensued. 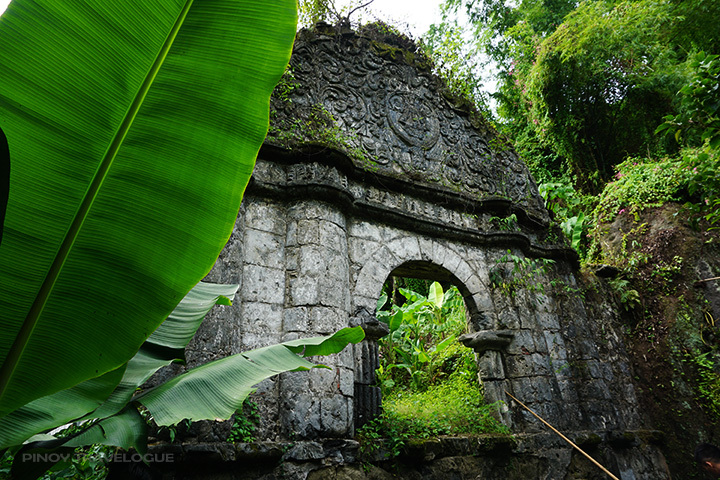 The footpath fringed with banana trees and guided by concrete step blocks ends at a medieval-ish coral stone arch concealed in thick vegetation, like ruins of an old stone church that nature has eventually reclaimed. Below the towering arch are two separate water holes of different depth. At this point, hush falls. Locals call this place Banal na Pook (sacred place), the exact spot where the girls found the image levitating; and aptly called the waters that runs beneath the arch as Banal na Tubig (sacred waters) — enough to guess that it possess miraculous healing powers. Why the wellspring was named after Saint Lucia, no one knows. Our impromptu guide narrated the stories of apparition and the history of the serene jungle we're in. Near the wells is a boulder that has an embedded sculpture portraying the historic event that the revered spot had witnessed centuries ago. 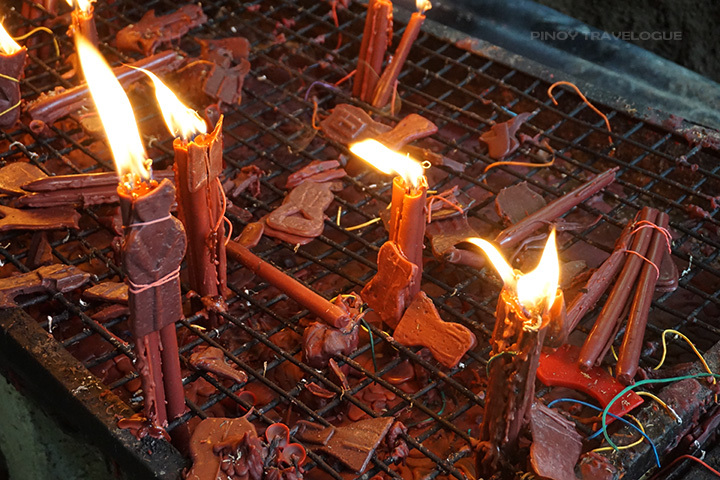 Visiting believers light up a bundle of candles on a designated tray — each candlestick represents a certain aspect of one's life — and whisper their personal intentions to the Our Lady of Caysasay. Coming back to the shrine to offer flowers as an act of gratitude for answered prayers has been a tradition. It was the only thing the miraculous Our Lady of Caysasay wishes the faithful to do so, the youngster guide emphasized. 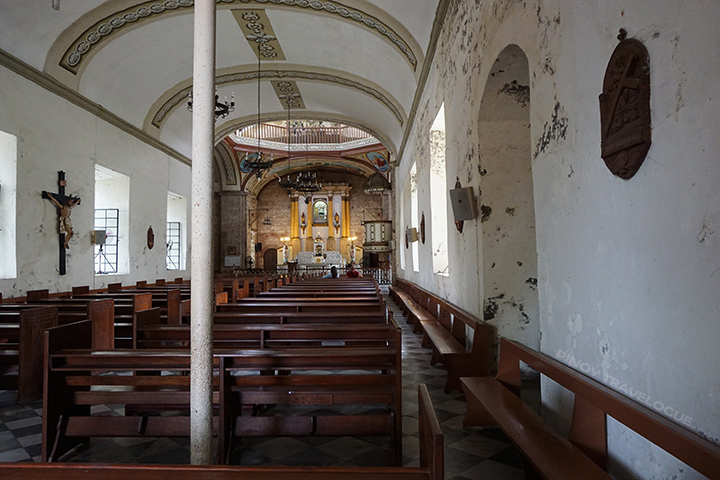 Caysasay Church is around 5-10 minutes walk from Taal Basilica. 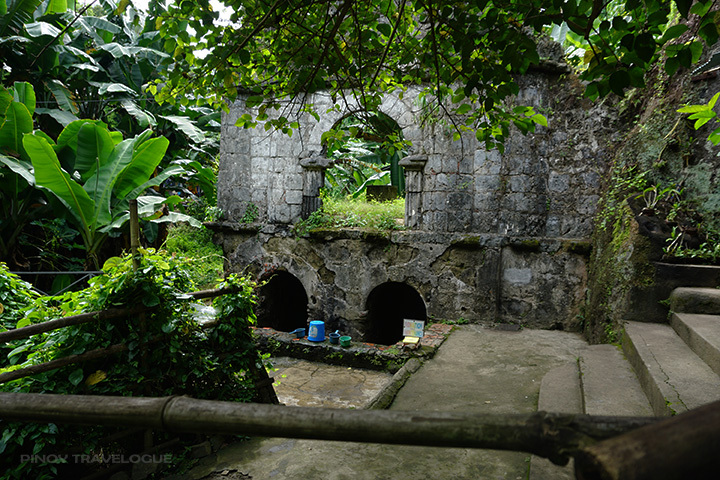 From the church, St. Lucia's Well is just around the corner. 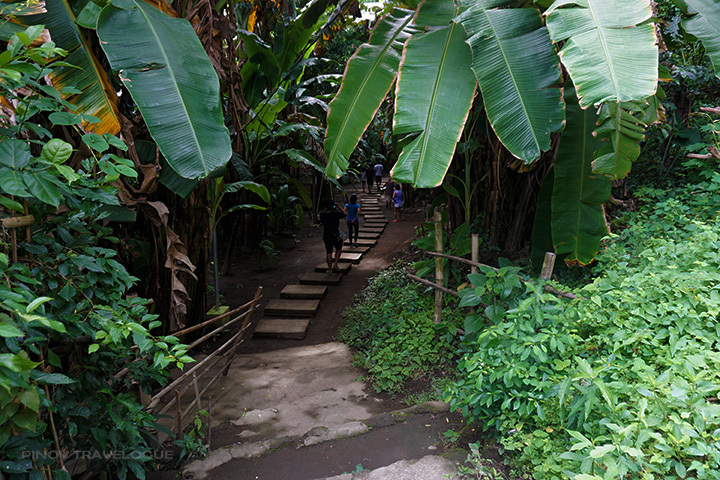 The narrow path leading to St. Lucia's Well is completely inconspicuous — no single signage in sight — so you might want to ask some locals to take you there. Just don't forget to hand them some tip. 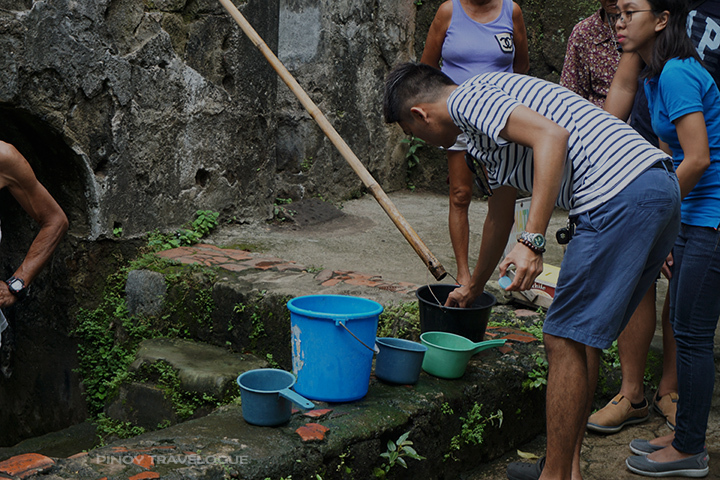 Bring a small water container (not a pail) should you wish to bring home some water from the wellspring. Caretakers were polite enough to fetch some for you. Candles that children and elderly sell at the shrine costs PHP 20 per bundle. You may not be a Catholic believer, but lighting up a candle is experiencing not the religion, but the Filipino culture — a colorful tradition. Who knows how far that extra 20 on your pocket can go? It may help the children in their schooling, or the elders in keeping up with their maintenance meds. 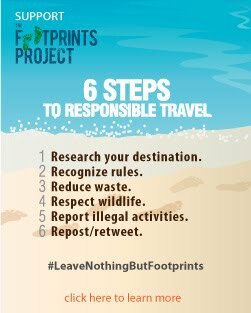 And so our response to Anton's comment is a jest and somewhat wordy, but it simply asks when the next Batangas road trip will be.